1) (The Chase, co. Hereford). Gu. an eagle displ. or, a border engr. of the last, quartering the arms of Circumnavigator Drake, viz., Sa. a fess wavy betw. two pole-stars ar. Crest—An eagle displ. or. 2) (Rev. Thomas Linwood Strong, Rector of Sedgefield, co. Durdam, elder son of Clement Samuel Strong, Esq., of Limpsfleld, co. Surrey, and grandson of Melanchton Strong, whose ancestors were of Nether Stronge, co. Somerset; one of that family is supposed to have been the Rev. William Strong, Rector of More Critchel, co. Dorset, the famous preacher at Westminster Abbey, who was buried there 4 July, 1654). Gu. an eagle displ. or. Crest—An eagle displ. or. 3) Same Arms, within a border engr. or. Crest—Out of a mural coronet or, a demi eagle, wings displ. gold. 4) (Ballycowlan, co. Dublin; Fun. Ent. Ulster’s Office, 1639, Nicholas Strong, of that place). Sa. a dexter hand couped at the wrist betw. three cartwheels ar. a mullet for diff. 5) (Tynan Abbey, co. Armagh, bart.). Ar. a chev. wavy sa. betw. three lozenges az. in the centre chief point an estoile gu., quartering Manson, Tew, and Maxwell). Crests—1st: An eagle with two heads displ. sa. beaked and legged az. langued gu. ; 2nd: A cluster of wine-grapes ppr. Mottoes—Tentanda via est; and, Dulce quod utile. 6) (Fun. Ent. Ulster’s Office, 1619). Ar. a chev. wavy sa. betw. three lozenges az. a cross pattée in chief of the last. This popular English last name developed as a nickname given to a person who was strong (or powerful, hard, severe) in terms of physicality of character (although perhaps it was applied ironically in some cases), from the old word Anglo-Saxon word strang and Middle English word strong. It can also be a French translation of Trahan, a metonymic occupational name for a silk worker who made thread from cocoons. Spelling variants and names with similar etymologies include Stronge, Straunge, Storange, Strang, Stongman, Strongfellow, and Armstrong. It is said the family held land and tiles prior to the Norman Conquest of 1066 AD. 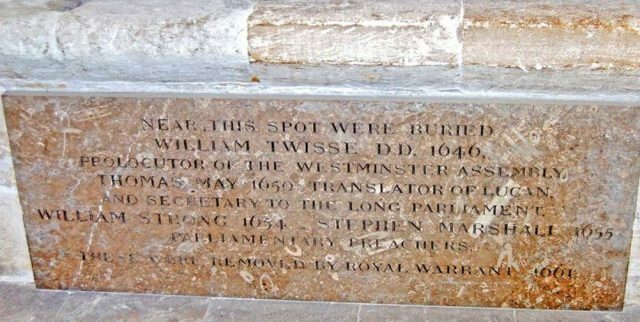 The first known bearers of this surname Richard Stronge who was listed in the Register of the Knights Templar for county Warwickshire in 1185 AD. The Hundred Rolls of 1273 AD, a census of Wales and England, known in Latin as Rotuli Hundredorum lists one bearer of this surname: Simon Strong (Cambridgeshire). Joscelin de Strong was recorded in the Rolls of Parliament. William le Stronge was documented at the Assize Court of Somerset, England in 1327 AD. The Poll Tax Rolls of Yorkshire in 1379 AD also lists one bearers: Adam Strang. John Strang was a councilor in Aberdeen, Scotland in 1398 AD. The last name Strong ranks 718th popularity in the United Status as of the 2000 Census. The name ranks particularly high in the following four states: Utah (242nd), Nebraska (280th), Michigan (381st), and Mississippi (387th). The surname Strong frequency/commonness ranks as follows in the British Isles: England (1,069th), Scotland (2,471st), Wales (649th), Ireland (1,909th) and Northern Ireland (1,424th). In England, it ranks highest in Cumbria. In Scotland, the surname ranks highest in East Renfrewshire. In Ireland, it ranks highest in Leinster. In Wales, it ranks highest in Torfaen. The name is also present throughout the remainder English speaking world: Canada (1,289th), New Zealand (719th), Australia (1,156th), and South Africa (11,763rd). The surname Stronge is a corruption of the surnames Straunge or Storange, a family which lived in many counties throughout England. A one Hugo Straunge owned estates near York and Bauldewin Straunge, county Stafford, England around 1413 AD. Johannes Straunge was an Armiger in counties Norfolk and Suffolk in the fifteenth century. John Straunge bequeathed lands in Suffolk in 1378 AD. The Reverend William Stronge, Rector of More Critchel Dorset, afterwards a famous Preacher at West Minster Abbey and was buried there in 1654. According to Mark Anthony Lower’s book Patronymica Britannica: “According to some genealogists this family first appear in England at certain jousts of arms, which took place at Peverell’s Castle, in the Beak of Derbyshire. There were present on the occasion Owen, Prince of Wales, a Scottish Prince, and two sons of the Duke of Brittany, one of whom, from his foreign birth, was called Guido le Strange, and became progenitor of the various baronial houses of L’Estrange and Strange. This race of Le Strange continued for many descents in the dignity of lords barons, in Latine records called Extranei, for that they were strangers, brought hither by King Henry the Second, in the year 1148”. The lineage begins with George Strong of Chart, county Somerset, who lived in 1566. He was involved in serge manufacturers. He had two sons: Thomas and Walter. The former, Thomas Stronge of Chardstoke, had a son named James. James Stronge was born in 1619. He was Rector of Bettiscombe and Vicar of Ilminster. He married Miss Minterne, daughter of the Browns of Frampton, and had a son with her named Melancthon. He later married again and had other issue, including Martin, born in 1663, the Vicar of Yeovil, married Ms. Phelips of Montacute and had issue. The elder son, Melancthon Stronge, was born in 1650. He was of Nether-Stronge. Burke states Melanchton “appears to have allowed himself to be drawn in to take part in the unfortunate rising and defeat of James, Duke of Monmouth. Immediately after the Battle of Sedgemoor, near Bridgewater, on the 4th July, 1685, and the disastrous defeat which followed, he fled away on foot, disguised in the garb of a working artisan, with his tools, to London, which he reached in great misery”. He married and had the following issue: Mary (married Mr. Gosforth), Elizabeth (married Samuel Sandeforth, had a daughter named Anne who marred Robert Streafeild), and Melancthon. Melancthon Stronge settled at Garrat, Surrey and had a son also named Melancthon. This son, Melancthon Stronge, was born in 1706. He married Eleanor, daughter of Thomas Sanders, of Hookwood, and had issue: 1) Melancthon, 2) Thomas (discussed below), 3) Clement Samuel (of Lympsfield, Surrey, married Anne Streatfeild and had issue named Reverend Thomas Linwood, Reverend Clement), 4) Job, 5) Sarah (married Leonard Kilham, Esquire), and 6) Elizabeth (married John Townsend of Wandsworth). His second son, Thomas Strong, Esquire, in 1764, married Sophia, the sole heir of Robert Alsop of Great Marlborough who was Lord Mayor of London in 1752. They had the following issue: 1) Robert (discussed below), 2) Reverend Thomas (Rector of Clyst St. Mary, Devon, and Theberton, Suffolk, married August Louisa, daughter of Dr. Rundel, had children named Reverend Edmond, Frederick Kettleby, and Thomas Augustus), and 3) Charlotte (of Coughton, county Hereford). His eldest son, Reverend Robert Strong, Rector of Brampton Abbots, was born in 1766. In 1793, he married Caroline Radegunda, daughter of William Roberts, and had the following issue with her: 1) Reverend Robert (Vicar of Painswick, county Gloucester, married Miss Gravenor, and had issue with her named Reverend Robert, Leonard, William Edmund, Carolus Arthur, Julia, and Louisa Caroline) and 2) Reverend Leonard (Rector of St. Matthews Demerara, married Ms. Reed and later Maude, daughter of Sir Robert Dundas of Beechwood, had issue named Robert Dundas, James Leonard, and Catherine Emma). In 1804, he married his second wife, Sophia Margaretta, daughter and co-heir of James Bean and Cornelia Barlow, and had issue with her as follows: 1) Reverend Clement Dawsonne (Rector of All Saints, Bristol, married Charlotte, had issue named Captain Dawsonne Melancthin, John Alexander of the Admirality and Agnes Mary Susanna, 2) Henry (of the Middle Temple, married Mademoiselle Elise la Cloche, heiress of Mont au Pretre Jersey, and had issue named Henry Barlow, Francis Drake, Lorimer Wilson, and two daughters), 3) George of the Chase (discussed below), 4) Emily Margaretta (married Reverend B. Williams, had a son named Benjamin Maurice, later married T. Swainson, had issue named Agnes, who married Charles Espinette of Wisconsin, US, and Janet, who married Charles Moody of Wisconsin), and 5) Ellen (married Reverend P. Sternschuss of Cagedale, county Hereford). George Strong, Esquire of The Chase, county Hereford, England was born in 1812. He was a doctor, Justice of the Peace, and Deputy Lieutenant. In 1839, he married Charlotte, daughter and heir of John Cooke of The Chase, and had four children with her as follows: Beatrice Charlotte Eleanor, Gertrude Pollefex, Mabel Fiennes, and Joan Beresford. The Strong coat of arms is blazoned in the medieval art of heraldry as follows: Gules, within a bordure engrailed an eagle displayed or, quartering the arms of Circumnavigator Drake, viz., sable, a fess wavy between two pole stars argent. Crest: An eagle displayed or. The ancestry or lineage of this branch of the Strong family tree begins with Reverend William Strong, of Thorpe Hall, a Justice of the Peace, son of Ven. William Strong, Archdeacon of Northampton, by his wife Margaret. William married Isabella Mary, daughter of Reverend Charles Euseby Isham, 4th Baronet of Lamport, and had two surviving issue upon his death in 1866: Charles Isham and Caroline Charlotte (married F. St. L. Pratt, Esquire, had twin daughters). Charles Isham Strong was an Esquire of Thorpe Hall, Petersborough, county Northampton, Justice of the Peace, born in 1838. In 1864, he married Katharine Anne, daughter of Reverend P.W. Powlett, Rector of Frankton, county Warwick, and had issue with her as follows: William (born 1870), Charles Powlett, Diana Caroline, Horatia, Isabella, Grace, Katharine Mary. This branch of the family tree was seated at Thorpe Hall, Petersborough, county Northampton, England in the present-day United Kingdom. Matthew Stronge, of Strabane 1670, and of Clonleigh 161, a scion of Strang of Calcaskie, was warden of Lifford, county Donegal, Ireland, in 1713. He acquired mands lands in county Derry, and he also purchased lands in counties Tyrone and Donegal. He had a son with his wife Anne. This son, Captain James Stronge of Croghan, county Donegal, and of Clonleigh, was the Sheriff of Derry in 1682. In 1675, he married Margaret, daughter of John Douglas, of Waterwide, and had two issue: 1) Isabella (married Thomas Babington) and 2) John. His son, Reverend John Stronge, Rector of Tynan, county Armagh, Ireland, in 1711, married Ellinor, daughter and co-heir of Captain James Manson, of Tynan, and had fours sons and one daughter with her. 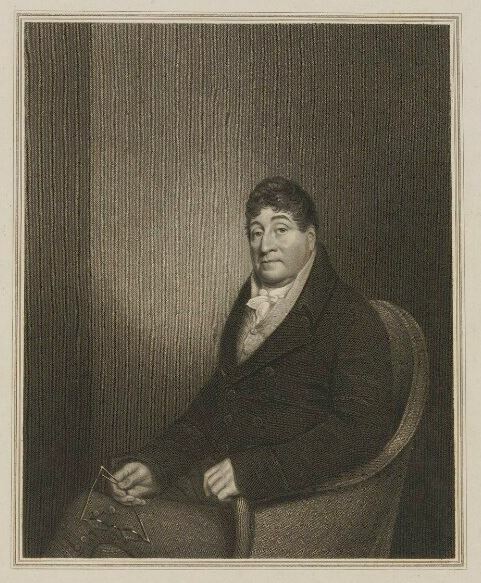 His second son, Matthew Stronge, of Liverpool, was the Mayor from 1768-1769. He married Elizabeth, daughter of Samuel Powell of Stannage and Elizabeth), and had two issue with her as follows: 1) Elinor (married John Blackburne of Wavertree Hall) and 2) Sir James. He was succeeded by his son, Reverend Sir James Stronge, 1st Baronet, born in 1750. He was created a Baronet in June 1803. In 1785, he married Helen, daughter and co-heir of John Tew of Dublin and Margaret Maxwell of Fellow’s Hall, and had two sons and one daughter with her. 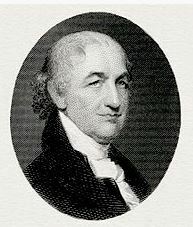 He died in 1804 and was succeeded by his only surviving son: James. Sir James Matthew Stronge, 2nd Baronet, county Armagh, Ireland, Deputy Lieutenant, county Tyrone, Gentleman of the Privy Chamber, was born in 1786. 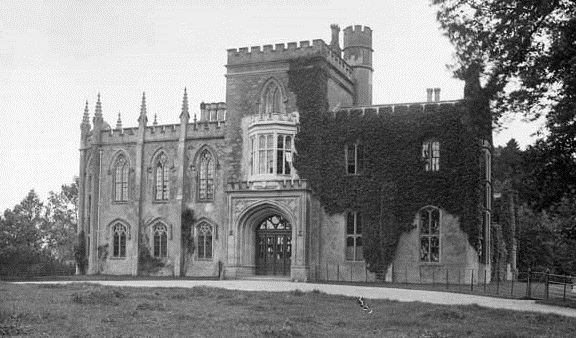 In 1810, he married Isabella, daughter of Nicolson Calvert of Hunsdon House, county Hertford, and had the following children with her: 1) Sir James Matthew (3rd Baronet), 2) Sir John Calvert (4th Baronet), 3) Charles Walter (served in Treasury, married Harriet Eades, had children including Walter Cecil), 4) Edmond Robert Francis (B.A. Dublin, Captain of the Royal Tyrone Fusiliers, Justice of the Peace for Derry, married Charlotte Newman, daughter of John Plercy Henderson of Foswell, had issue named Sir Walter Lockhart 6th Baronet, Sir Charles Edmond (7th Baronet), Harry William, and Edward Owen Fortescue), 5) Maxwell Du Pre (of Reheenduff House, Foulks Mill, county Wexford, Ireland, a Justice of the Peace, Captain of the 52nd Light Infantry, Lieutenant Colonel of the Sligo Rigers, married Jane Colclough Goff), 6) Francis Helen (married Thomas Vesey Nugen, had issue), 7) Pauline Caroline (married Captain William Bunbury McClintock-Bunbury, Royal Navy, of Lisnavagh, Member Parliament of 1876), and 8) Catharine Brownlow (married Lieutenant Colonel George Augustus Jocelyn McClintock, had issue). 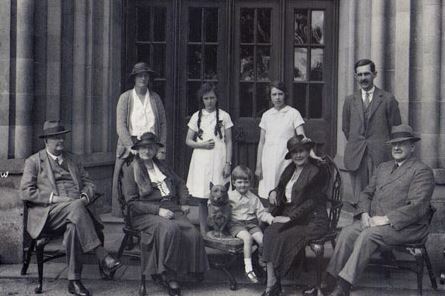 Stronge of Tynan Abbey in 1938 – Captain Norman Stronge w/ Mrs. Stronge and their daughters, Evelyn and Daphne, standing behind their son James (accompanied by Mr. Pooh). To James’s right are seated Mrs. Stronge’s parents, Major H.T. Hall and Mrs Hall. On James’s left are Lady Stronge and Sir Charles Stronge. Sir Norman and his son James were murdered in 1981 by the IRA. Sir James died in 1864 and was succeeded by his eldest son. Sir James Matthew Strong, 3rd Baronet, was a Deputy Lieutenant, Justice of the Peace, High Sheriff, Member of Parliament, and Lieutenant of the 5th Dragoon Guards. He was born in 1811. In 1836, he married Selina Elizbeth, daughter of Andrew Nugent of Poraferry, but died without a successor in 1855 whereupon he was succeeded by his brother John. Sir John Calvert Strong, 4th Baronet, was a Barrister-at-Law, Justice of the Peace, and Deputy Lieutenant who was born in 1813. In 1848, he married Lady Margaret Zoe Caulfeild, daughter of Hon. Henry Caulfeild, and had three issue with her as follows: 1) Sir James Henry, 5th Baronet, 2) Sir Francis William (married Maria Elizabeth Florence, daughter of General Honorable Sir David Macdowall Fraser), and 3) Alice Isabella. Sir John died in 1899 and was succeeded by his eldest son James. Sir James Henry Stronge, 5th Baronet, was an M.A. Oxford, Barrister-at-Law, High Sheriff, Major of the 4th Bn. Royal Inniskilling Fusiliers, was born in 1849. He was sword to the Privy Council of N. Ireland in 1924. In 1885, he married Ethel Margaret, daughter of Colonel Ynyr Henry Burges of Parkanaur, and had issue with her as follows: 1) James Matthew (Lieutenant of the Royal Irish Fusiliers, married Winifred, daughter of Lieutenant-Colonel Henry G.S. Alexander of Carrickmore House, killed in action), 2) Zoe Edith (born 1886), Daphne Helene (married General Sir Walter William Pitt-Taylor), 3) Rose Ethel (married Edmond St. John Richardson, son of Captain Arthur Percy Richardson, had issue), 4) Jessy, and 5) Joy Winifred (married Major James C. Fillery of the Royal Army, lived in New Zealand, had issue). Sir James died in 1928. He was succeeded by his cousin Walter. Sir Walter Lockhart Stronge, 6th Baronet, was a Deputy Lieutenant of Armagh, Justice of the Peace for Down, and Captain of the 4th Bn. Royal Inniskilling Fusiliers, born in 1850. He died in 1933. He was succeeded by his brother Charles. Sir Charles Edmond Sinclair Stronge, 7th Baronet, was a Justice of the Peace, counties Down and Londonderry, High Sheriff of Londonderry, and Lieutenant of the 4th Bn Royal Inniskilling Fusiliers, born in 1862. He served as a Recruiting Officer in World War I. 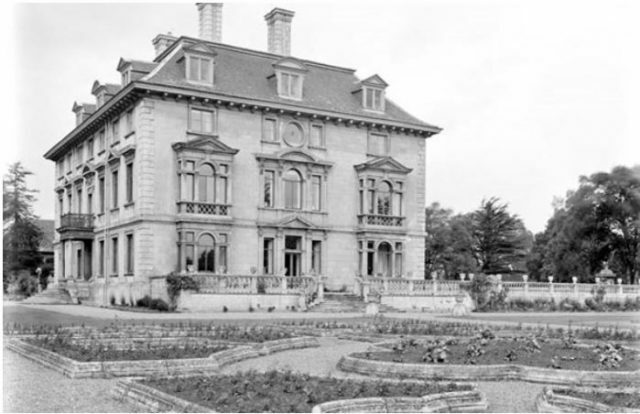 In 1892, he married Marian Iliff, daughter of Samuel Bostock of the The Hermitage, Walton Heath and had two issue with her: 1) Sir Charles, 8th Baronet and 2) Pauline Marian (born 1899). He died in 1939 and was succeeded by his only son Charles. Sir Charles Norman Lockhart Stronge, 8th Baronet, was born in 1894. He was a Deputy Lieutenant for Armagh and a Justice of the Peace for Armagh and Londonderry. He was also High Sheriff and a Member of Parliament for Mid-Armagh in the Northern Ireland Parliament. He served in World War I (in Belgium?) and World War II (with the N. Irish Horse). In 1921, he married Gladys Olive, and had issue with her as follows: 1) James Matthew (born 1932), 2) Daphne Marian (served in World War II as a nurse), 3) Evelyn Elizabeth (served in World War II as a nurse), and 4) Rosemary Diana. This family bore the following coat of arms: Quarterly: 1st and 4th argent, a chevron, undee sable, between three lozenges, azure in the centre chief point, an estoile gules for Stronge; 2nd argent an eagle displayed or, for Manson, 3rd quarterly 1st and 4th or, a ship of one mast sable; 2nd and 3rd or a fesse chequy argent and azure for Echlin. Crests: 1) An eagle with two heads, displated sable beaked and legged azure, langued gules, 2) A cluster of wine grapes proper. Mottoes: Tentanda via est and Dulce quod utile. 1) Jerijah Strong was born in Windsor, Hartford, Connecticut in 1665. He married Thankful Stebbins and had issue with her as follows: Jerijah Jr., Thankful, Eunice, Ithamar, Deacon Seth, and Bela Sr.
2) John Strong Jr. was born in Chard, Somerset, England in 1626. He married three times: Mary Bird, Elizabeth Warriner, and Hannah. He had the following issue: Mary, Hannah, Jacob Sr., and Josiah. 3) Jedediah Strong was born in Windsor, Connecticut in in 1637. He married three times: Freedom Woodward, Abigail Barlett, and Mary Hart. He had the following issue: Elizabeth, Abigail, Jebediah Jr., Ford, Joseph, Hannah, Thankful, John II, Sarah, Lydia, Mary, Experience, Preserved, Ezra, and Mary. 4) Thomas Strong was born in Hingham, MA in 1637. He married twice: Mary Hewett and Rachel Holton. He had the following issue: Thomas Jr., Maria, John, Hewett, Asahel, Justice, Adino Strong, Sergeant Waitstill Strong, Rachel, Selah, Benajah, Ephraim, Elnathan, Ruth, and Submit. 5) Return Strong was born in Taunton, Plymouth Colony in 1640. He married Sarah, daughter of John Warham and Jane Dabinott, and had the following issue: Sarah, Abigail, Lieutenant Return, Elizabeth, Samuel, Damaris, and Samuel. 6) Ebenezer Strong was born in Boston, Massachusetts in 1643. He married twice: Abigail Sharpe and Hannah Clap. He had the following issue: Hannah, Ebenezer, Lieutenant Nathaniel, Sarah, Preserved, Jonathan, and Noah. 7) Samuel Strong was born in Windsor, Connecticut in 1652. He married twice: Ruth Sheldon and Esther Clapp. He was the father of the following issue: Deacon Samuel, Mary, Joseph, Josiah, Ester, Susanna, Abigail, Christian, Nehemiah, and Ezra. His son Samuel was born in Maine in 1771, He was killed by Indians in 1711. He married Susannah and Ruth and had issue named Joel, Susanna, Dorcas, Abi, and Ruth. 9) Abel Strong married Sarah Eaton at Saint John’s Anglican, Cornwallis Township, King, Nova Scotia, Canada in September 1784. 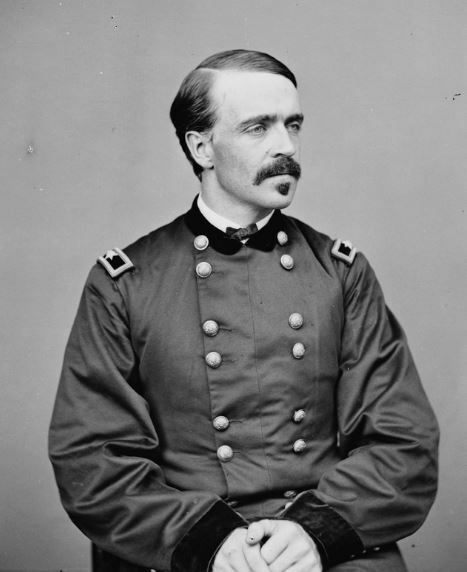 3) George Crockett Strong (1832-1863) was a Union General during the American Civil War, born in Stockbridge, Vermont, who fought in the First Battle of Bull Run and Second Battle of Fort Wagner. 4) George Veazey Strong (1880-1846), born in Chicago, Illinois, was a US Army General who served in World War I and II, known as being the Commander of Military Intelligence Court during the later. 7) Rider King Strong (1979) is an American actor, producer, and screenwriter best known for his roles in the American sitcoms Boy Meets World and Girl Meets World. 10) Barrett Strong (1941) was an American songwriter and singwriter, born in West Point, Mississippi, known as the first artist to record a hit for Motown, and wrote many lyrics to songs for The Temptations. 11) Cecily Legler Strong (1984) is an actress and comedian who was a cast member of Saturday Night Live beginning in 2012, born in Springfield, Illinois.